Successfully Added New Type 8" Sun Visor TFT LCD Monitor to your Shopping Cart. It can be slided from left to right. Operating with remote control make the things come convenient. 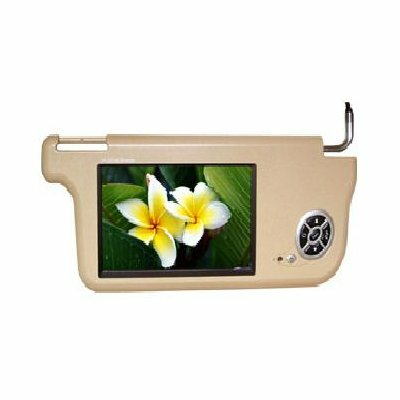 This sun visor wholesale product has 8" TFT LCD screen and can auto switch the system of PAL/NTSC. So it is good choice among the sun visor products.